Rumors of a new Twilight Zone series or TV show have been circulating for quite some time now. Considering it's one of the most popular television shows of all time, it's actually surprising that this hasn't come sooner. But CBS is now officially in the process of bringing it back into our living rooms. Even less surprising is that they're not taking it directly to broadcast TV. 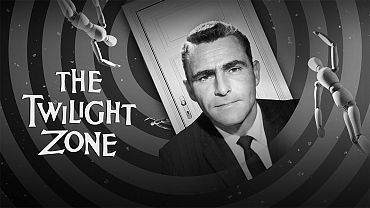 With the mild success of Star Trek: Discovery, the outlet has decided to bring the new Twilight Zone to their All Access streaming service. While fans may take issue with this, it's seeming to work with Trek so they're going to continue bringing new shows to that platform. The original ran from 1959 to 1964 with several attempts to revitalize it for television. Two revisits were made in the late '80s and early '00s. Both failed to spark. There was also the ill fated Twilight Zone: The Movie which featured bits from several big name directors.